Cool Places - The Book! 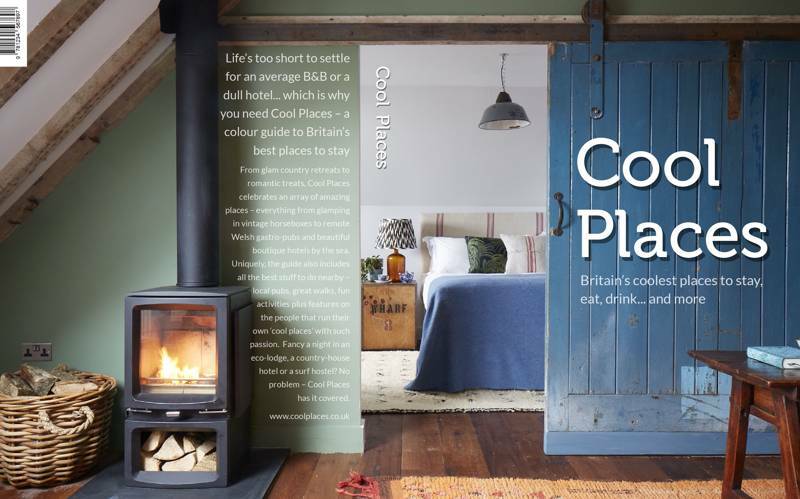 Brand new for 2019 is the latest title from Punk Publishing, Cool Places, a lavish full-colour guide to more than 200 of the very best places to stay in the UK – everything from boutique hotels and designer B&Bs to chic country cottages and luxury glampsites. Based on recommendations from the Cool Places website, but in a browsable coffee-table-package, Cool Places celebrates the amazing independent businesses that make the UK such an enticing destination; each hand-picked choice guarantees a stay to remember in the ‘coolest’ British hotels, B&Bs, cottages, inns, pubs and glampsites. Compiled by Cool Places and Rough Guides founder Martin Dunford and UK travel specialist Jules Brown, each featured place has an incisive first-hand review and all the information you need – and just like the Cool Places site it uniquely also includes all the best stuff to do nearby: local pubs, great walks, fun activities, and features on the local entrepreneurs who run their own ‘cool places’ with such passion. Whether you’re looking for a glam country getaway, a seaside holiday, a family break or a romantic treat, put yourself in the trusted hands of Cool Places and find your perfect UK place to stay.